Maybe football isn’t your thing. Maybe you just go to Superbowl parties because everyone else is going or because you just *have* to see Lady Gaga in the halftime show. Could it be the classic Budweiser, Coke or M&M commercials you’re after? It really doesn’t matter why YOU are there, because the FOOD is going to be there either way! 1) Healthy Popcorn Choices Can Cure the Need for Crunch. Seriously skip the toxin filled fake cheese, or the greasy, covered in salt, type chips. There are SO many good popcorn options out now. They come in all natural flavors and choices, with minimal calories. If you have an air popper you can totally make your own, otherwise there are so many pre-bagged choices, you should be able to keep your guests happy with the variety. 2) Greek Yogurt Does So Much! Seriously, it’s high in protein and low in nonsense. You can grab a good organic, 0% fat, Greek yogurt and you go salty or sweet with it. For chips you can make an onion dip, a spinach-artichoke dip, or go with a peanut butter dip for apples! I haven’t had sour cream in so many years, it’s so necessary when we have this versatile option. 3) So Many Ways to Get in Bubbles. A lot of soda gets consumed at parties. We just tend to want something in our hand. There are so many good sparkling waters out there now, we really don’t have to take in all that sugar anymore. There are flavored waters galore now, and adding a slice of lime to one almost makes it feel like cocktail. I know LaCroix is a big brand, I’m a Perrier with lime girl myself, but really any of them that don’t have any extra “crap” in them are great choices! 4) Start the Day Healthy. The game doesn’t actually start that early. In CA it was usually around 3, so unless you’re maybe in Hawaii, you have ALL DAY to make good choices. Get up early and workout or go on a hike. 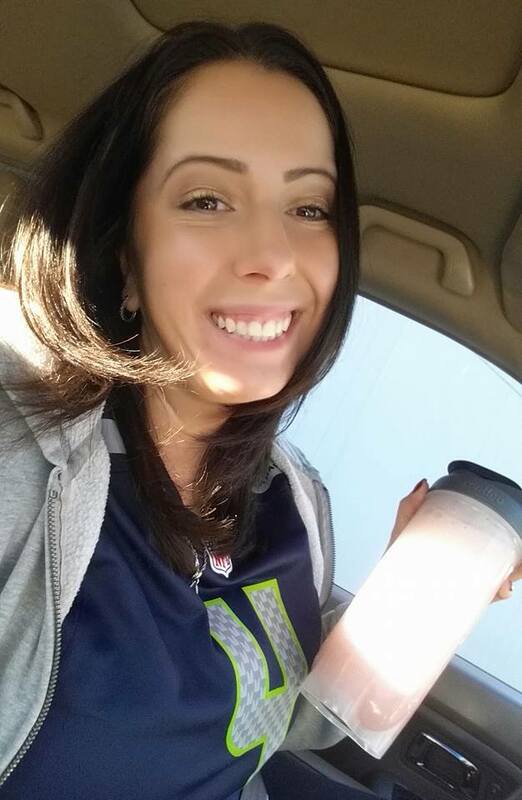 Get in a great, healthy, breakfast and get your Shakeology in before the party. Get your meal prep done for the week, and pack Monday’s lunch. By making a ton of healthy choices early on, you’ll be less likely to binge or sabotage yourself, later in the day! 5) Plan, Plan and Plan. Don’t just wing it, and no not chicken wings here, I mean going in blind with no plan. Plan what you’re going to eat before the party. Plan your healthy choices while at the party. Bring some of your own snacks if you are not sure what will be there. Give yourself a set number of snacks, or drinks, that you feel are in line with your goals. Have a plan for getting back on track Monday, and above all, if you’re drinking, have a plan to get home! 6) Use Your Social Circle. Tell people what you are doing. Share your goals. It can be so scary to do that, but the accountability of having told people is amazing. Even if they never say a word, you won’t want to go back for seconds, or grab a soda, if you just told everyone you are not doing that today. Make your accomplices your advocates by sharing your excitement over the healthy snack you brought, or how well you’ve been doing. They don’t need to get on board for themselves, but they should be more than happy to support you.